The best credit cards for Amazon purchases offer up to 5% back on purchases at Amazon and other businesses owned by the online retailer. These best small business credit cards pay top rewards on other spending as well, such as restaurants and gas stations and offer free perks like extended warranties and car rental insurance. Most business rewards credit cards pay just 1% on Amazon purchases. Our best credit cards for Amazon pay up to 5% at the retailer and offer opportunities to earn 2% or more on spending outside the Internet merchant. Some also come with Amazon perks like free gift cards and interest-free financing on Amazon purchases. 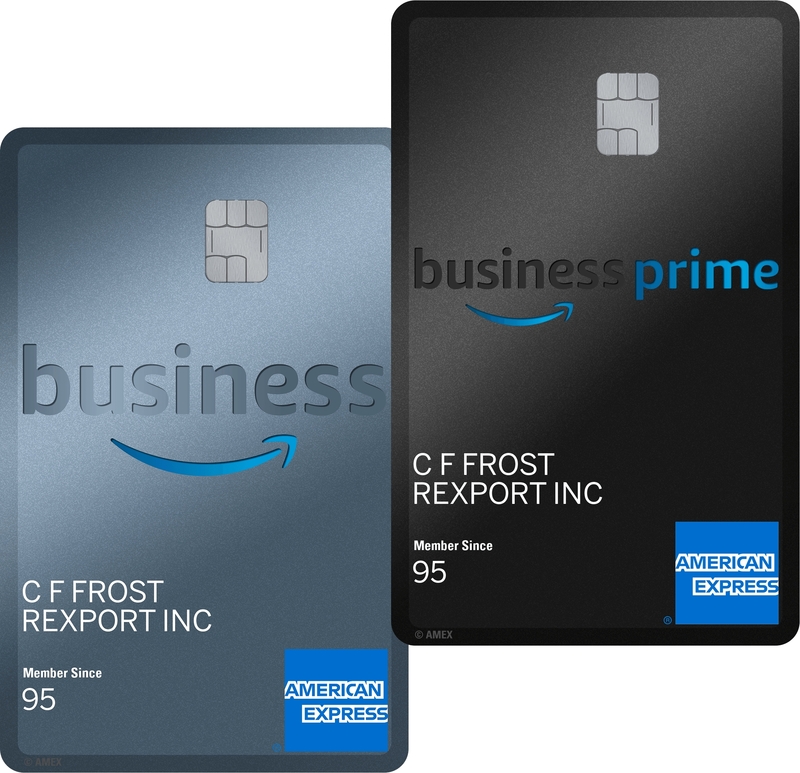 With its unique offer of 5% cash back or 90 days of interest-free financing on Amazon purchases, we rank the Amazon Business American Express Card as our overall best business credit card for Amazon purchases. Enjoy 2% back on purchases at United States restaurants and gas stations and on wireless telephone services purchased from U.S. service providers as well. Compare this and other cards with the best credit cards in the FitSmallBusiness Credit Card Marketplace. The Amazon Business American Express Card is the best small business credit card for owners who frequently make purchases at Amazon-owned companies. Cardholders will earn 5% back or 90-day free financing on U.S. purchases at Amazon, Whole Foods Market, Amazon Business (its business products portal), and Amazon Web Services (cloud computing and web hosting services). No other card can top these offers on Amazon-related spending. Ongoing APR is as low as 16.49%. Some cards on our list offer 0% introductory offers of 12 months or more on purchases like the Chase Ink Business UnlimitedSM, but none allow for the option of 90 days of 0% financing for all Amazon purchases for as long as you own the card. That’s a unique benefit. Ongoing APR is about one percentage points higher than on the American Express Blue Business℠ Plus card. No other card on our list offers rewards on spending at as many different Amazon businesses as the Amazon Business American Express Card. Earn 5% back at Amazon, Whole Foods Market, Amazon Business, and Amazon Web Services. The Amazon Prime Rewards Visa Signature Card pays 5% cash back at Amazon and Whole Foods. Either introductory reward is significantly smaller than the $500 bonus Chase Ink Business UnlimitedSM pays after you spend $3,000 within the first three months. To earn top rewards, you have to be a Prime member. Membership starts at $119 a year. Rewards can be used to shop at Amazon Business or Amazon, or cardholders can opt for statement credits. The introductory rewards are significantly lower than other credit cards that work on Amazon offer, including the Capital One® Spark Cash® for Business, which pays up to $500 when you spend $4,500 on your card within the first three months of account opening. The Amazon American Express card, of course, requires no spending to earn its introductory bonus. The Amazon Business American Express Card offers a number of common benefits, like extended warranty protection as well as some benefits not available from other cards on our list. Extended warranty and purchase protection are also available on the American Express Blue Business℠ Plus and the Chase Ink Business UnlimitedSM. No other card offers return protection or baggage insurance. The Amazon Business American Express Card probably isn’t a business credit card you would use for the bulk of your spending if your goal is to maximize rewards. It pays just 1% on purchases that aren’t from Amazon, restaurants, gas stations, and wireless telephone services. Cards like the Capital One® Spark® Cash for Business pay 2% cash back on all spending. American Express and Amazon released the Amazon Business American Express Card in October 2018, but users are already submitting online reviews, which are mostly positive. Users say the application process is quick — just three minutes in one case — and the customer service is exceptional. Some users said the APR is too high while one cardholder was disappointed to receive a $500 credit limit. Apply for the Amazon Business American Express Card on Amazon where you could receive an instant answer regarding your application. If approved, cards arrive within seven to 10 business days. The American Express Blue Business℠ Plus is best for businesses that want to earn the same amount of points on all spending, including Amazon purchases. Blue Business Plus offers a 12-month, 0% introductory APR period on purchases and balance transfers and an ongoing APR as low as 15.49%, the lowest on our list. A few other cards on our list offers a longer 0% introductory period on balance transfers. The Citi Double Cash Card offers 0% APR for 18 months on balance transfers completed within the first four months after account opening. But Citi Double Cash comes with no introductory offer on purchases. The low introductory and ongoing APRs also makes this card one of the best credit cards for startups. The American Express Blue Business℠ Plus is one of two cards on our list that offers points or miles instead of cash-back. It pays two times the Membership Rewards points on all spending, which means there are no categories to track — or earn bonus points from. The other non-cash-back card is the Capital One® Spark® Miles for Business, which pays two times the miles on all spending. Blue Business Plus offers no sign-up bonus or other introductory rewards. It’s one of two cards on our list that has no introductory rewards, with Citi Double Cash Card being the other one. The return on ongoing rewards is similar to the 2 miles per dollar spent that you’d earn with the Capital One® Spark® Miles for Business card. Membership Rewards points can be redeemed for airfare or other paid travel through American Express Travel, gift cards, or statement credits against eligible charges. Cardholders also can transfer points to airline and hotel partners as they can with the Capital One® Spark® Miles for Business card. These benefits are fairly standard, although the length of coverage on purchase protection is more than the 90 days the Capital One® Spark® Cash for Business offers. American Express Blue Business℠ Plus doesn’t offer introductory rewards while other cards on our list offer potentially huge sign-up bonuses. The Capital One® Spark® Cash for Business, for instance, offers a $500 cash bonus when you spend $4,500 in the first three months of account opening. You’ll earn less on Amazon purchases than with the Amazon Business American Express Card — two times the points to 5% cash back — which is a big difference if you’re a frequent Amazon shopper. Small business owners applaud Blue Business Plus in online reviews for helping to grow their firms. Users say they value the points-based rewards system and the issuer’s excellent customer service. Some users complain about the lack of introductory rewards. Discover it Cash Back is best for small businesses that want to earn a minimum of 2% cash back on all spending, including at Amazon, during the first year of card ownership. Half of the cards on our list promise a 2% return on all spending — the American Express Blue Business℠ Plus, Capital One® Spark® Cash for Business, Capital One® Spark® Miles for Business, and Citi Double Cash Card. Ongoing APR on this personal credit card is as low as 13.99%. The introductory APR is just two months more than what the American Express Blue Business℠ Plus card offers while the lowest possible ongoing APR is about two percentage points lower than Blue Business Plus, making this the second-best card on our list for both introductory APRs on the purchase and balance transfers and ongoing APR. A good rule of thumb to follow when choosing a rewards card is to find one that can get you as close to 2% on all your spending as possible. Discover guarantees this during the first year with its unusual introductory reward offering to match all your first-year rewards. Every other card with an introductory offer caps the maximum reward you can receive. Discover will match all of the cash back you earned at the end of your first year automatically. No other card offers unlimited introductory rewards. 5% cash back on rotating quarterly categories like gas stations, grocery stores, restaurants, and Amazon — on up to $1,500 in spending each quarter. In 2018 and announced for quarter 4 of 2019, Discover included a 5% bonus on Amazon spending during one quarter of the year. However, it’s not a guarantee this will continue going forward. That reward is capped at $1,500 in spending. If you’re looking for a guaranteed 5% on Amazon purchases or spend more than $1,500 there quarterly, the Amazon Business American Express is still a better deal. Still, the 5% on Amazon spending will be doubled during your first year, meaning you could earn 10% cash back or up to $150 on $1,500 in spending. Discover it Cash Back is unusual in that it offers bonus categories that pay 5%, but those categories rotate every three months. You must register your card each quarter to earn the bonus rewards — and you can only earn 5% cash back on up to $1,500 in spending. No other card on our list has quite this many restrictions. Discover it Cash Back also is a personal credit card, not a small business credit card, meaning you won’t be able to establish or build business credit by using it. Online reviews for Discover it Cash Back are very positive. Users say they enjoy the cash back rewards, low APRs, and hassle-free customer service. Some complain that Discover isn’t as widely accepted as Visa and that some stores like Walmart are restricted from the 5% category offers. Chase Ink Business UnlimitedSM is best for business owners looking for a solid $500 cash back after spending $3,000 in the first three months. If you plan to spend a bunch at Amazon, this introductory bonus could prove more valuable than the 5% you’d receive using the Amazon Business American Express Card. You’ll also enjoy 12 months of 0% APR on purchases. Ongoing APR is as low as 15.49%. The balance transfer fee is higher than the 3% charged by the American Express Blue Business℠ Plus card and will reduce the savings you receive when you transfer a balance from a high-interest card. The length of the introductory APR is the shortest among the cards on this list that offer introductory APRs. Along with the ongoing rewards, this card also comes with a great introductory bonus — the second highest among cards on our list behind the Capital One® Spark® Cash for Business and Capital One® Spark® Miles for Business cards. Earn $500 cash back when you spend $3,000 in the first three months. Earn unlimited 1.5% cash back on all purchases, regardless of spending category. That’s a lower return than the two times the points you’d earn on all purchases with the American Express Blue Business℠ Plus card. Note that the purchase protection benefit lasts longer than the 90 days offered by the Capital One® Spark® Cash for Business. The Capital One® Spark® Cash for Business and Capital One® Spark® Miles for Business are the only other cards on our list that offer rental insurance while several cards offer extended warranties, including the Amazon Business American Express Card. 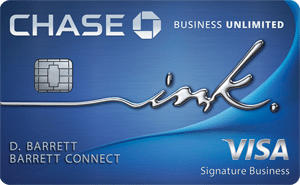 Chase Ink Business UnlimitedSM offers great fixed-rate cash back rewards on all spending, but the reward rate is lower than some other cards — especially in certain spending categories — like the Amazon Business American Express Card. If you spend more than $15,000 in your first year on Amazon purchases, the Amazon Business American Express Card will pay more. Reviews for the Chase Ink Business UnlimitedSM card are very good, although not as positive as reviews for the other Chase cards on this list. Customers like the 12-month introductory APR as well as the strong introductory rewards. Since this card is relatively new, we were unable to find any negative user reviews. The Amazon Prime Rewards Visa Signature Card is best for small business owners who spend a lot on Amazon purchases but also want to earn 2% cash back on purchases at restaurants and gas stations, and drugstores. Ongoing APR on this personal credit card is as low as 16.24%. Since this is a personal credit card, you may be able to qualify if you can’t qualify for a business credit card. Unlike the Amazon Business American Express card, Amazon Prime Rewards offers no chance for 0% APR financing. The APR also is higher than what the American Express Blue Business℠ Plus offers — 15.49% to 21.49% — so this isn’t the best choice of cards if you need to carry a balance. You’ll earn 5% cash back on spending at Amazon and at Whole Foods, just like with the Amazon Business American Express card. That card, however, also pays 5% on spending with Amazon Business and Amazon Web Services. You’ll receive $70 Amazon gift card instantly upon credit card approval. Of the cards on our list that offer an introductory reward, this is the second-lowest bonus behind the Amazon Rewards Visa Signature Card. The introductory offer is low compared with other cards on our list, like the Chase Ink Business UnlimitedSM, which pays $500 after you spend $3,000 within the first three months. It’s even lower than the Amazon Business American Express offer — an Amazon gift card worth up to $125. However, there’s also no spending requirement to receive the bonus. These are common protections offered by Amazon credit cards. Notice, however, that the purchase protection coverage here covers slightly less than on the Amazon Business American Express, which limits coverage to $1,000 per occurrence. The rewards for Amazon purchases aren’t quite as good with this card as they are with the Amazon Business American Express. If you use Amazon Web Services or Amazon Business, you’re better off with the Amazon business card. Amazon Prime Rewards also isn’t one of the business credit cards for Amazon purchases, so you can’t establish or build business credit by using it. Online reviews are predominantly positive. Users say the card offers solid returns on Amazon spending and is well worth it for Amazon Prime members. Some users complain about the ongoing APR, which may be higher than the 17% average APR credit cards offer. Apply for the Amazon Prime Rewards Visa Signature Card on Amazon where you could receive an instant answer regarding your application. If approved, cards arrive within seven to 10 business days. Chase Freedom Unlimited is a consumer credit card that is best for owners who want to finance purchases for up to 15 months interest-free while still collecting 1.5% rewards on all spending. Ongoing APR is as low as 16.99%. The introductory APR offer is longer than the American Express Blue Business℠ Plus, but that card charges just 3% on balance transfers, making it the better choice if you want to move high-interest debt from another credit card. The ongoing APR on Chase Freedom Unlimited can be higher than average. Choose a card like the Discover it Cash Back — 13.99% to 24.99% — if you plan to carry a balance. 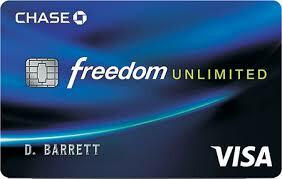 Chase Freedom Unlimited pays 1.5% cash back on all spending. It offers no bonus categories with higher rewards and does not offer enhanced rewards for Amazon spending like the Amazon Prime Rewards Visa Signature card. Earn $150 after you spend $500 within the first three months after account opening. That’s less than the $500 you’d earn after spending $3,000 within three months with the Chase Ink Business UnlimitedSM. Earn 1.5% cash back on all purchases. That’s the lowest cash-back introductory reward among the cards on our list, but the spending threshold required to earn the bonus is also low. Choose the Chase Ink Business UnlimitedSM if you’re looking for a higher introductory bonus like $500 after you spend $3,000 within the first three months. These benefits are standard, although the length of coverage on purchase protection is more than the 90 days the Capital One® Spark® Cash for Business offers. Like several other cards on this list, Chase Freedom is a consumer credit card, meaning you can’t establish or build business credit by using it. Freedom Unlimited also offers 1.5% cash back on all spending, less than other fixed-rate cards on our list, including the American Express Blue Business℠ Plus and the Capital One® Spark® Cash for Business and Capital One® Spark® Miles for Business cards. Online reviews for the Chase Freedom Unlimited are mostly positive. Users appreciate that the card comes with no annual fee and offers a streamlined and simple rewards program. Some users do, however, compare the cards unfavorably to other rewards credit cards that offer a 2% return on all spending. Many of those cards, however, charge an annual fee. 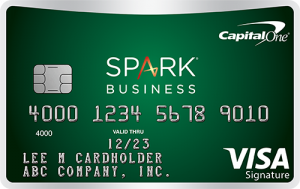 The Capital One® Spark Cash® for Business card is best for firms that want to earn 2% cash back on all spending. This type of ongoing rewards is suited for businesses that have a variety of spending needs and don’t want to track category bonuses. Ongoing APR is 19.24%. Capital One® Spark® Cash for Business is one of just two cards on our list to charge an annual fee, which is $95 and is waived the first year. The Capital One® Spark® Miles for Business charges the same annual fee. If you must finance your high limit balance, the APR on this card is above average. Choose a card like the American Express Blue Business℠ Plus, which charges an ongoing APR of as little as 15.49%. This card pays 2% cash back on all spending, the highest flat-rate cash-back return among the cards on this list. 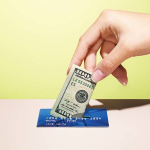 Other cards offer higher returns in bonus category spending, such as the 5% cash back the Amazon Business American Express offers, but that card fares worse in everyday spending at 1% back. You’ll earn a $500 cash bonus when you spend $4,500 in the first three months of account opening. The Chase Ink Business Cash℠ card offers the same intro bonus, but you’ll only have to spend $3,000 to earn it. Earn unlimited 2% cash back on all purchases. That’s the same return you’ll see on the American Express Blue Business℠ Plus card and the Capital One® Spark® Miles for Business card, although those two cards offer points/miles, not cash back. These benefits are standard, although the length of coverage on purchase protection is less than the 120 days the American Express Blue Business℠ Plus offers. You’ll earn a much higher rate on Amazon purchases with another card, like the Amazon Prime Rewards Visa Signature Card and Amazon Business American Express Card, which pay 5% cash back. The Capital One® Spark® Cash for Business pays 2% cash back on all purchases, including those made with Amazon. Capital One® Spark® Cash for Business reviews are generally excellent. Overall, customers love the strong cash back rewards program. There have been a few complaints in some reviews online, but these are mostly individual customer issues. On the whole, customers report a positive experience with the Capital One® Spark® Cash for Business card. You can apply online for a Capital One® Spark® Cash for Business business card, and you’ll typically get an immediate decision. Once approved, you’ll get your card in seven to 10 business days. Capital One® Spark® Miles for Business is best for businesses that travel often as it pays two times the miles on all spending. Ongoing APR is 19.24%. The Capital One® Spark® Miles for Business is one of just two business credit cards on our list — along with the Capital One® Spark® Cash for Business — that has an annual fee but waives it for the first year. This could be a solid benefit if you want to test drive a card but aren’t sure if you want to keep it. Capital One® Spark® Miles for Business offers the best flat-rate business travel rewards on our list, giving you two times the miles on every purchase. No other card on our list offers rewards in the form of miles. You can redeem your Capital One miles online by either paying for past travel, booking a new flight or rental car, or by transferring your points to one of the issuers airline transfer partners. Earn two times the miles on every purchase. There are no minimums you must meet to redeem these reward miles. That’s the same return you’ll see on the American Express Blue Business℠ Plus card. These benefits are standard, although the length of coverage on purchase protection is less than the 120 days some other cards, such as Chase Ink Business UnlimitedSM, offer. Other cards offer better rewards in specific bonus categories, like the Discover it Cashback, which pays 5% cash back on bonus categories that rotate every quarter like restaurants and Amazon purchases. You’ll earn just two times the miles on those types of purchases with Capital One® Spark® Miles for Business. You could earn 5% back on Amazon spending with the Amazon Business American Express card. If you don’t travel much by plane, this isn’t a very good card for you. Capital One® Spark® Miles for Business reviews online are very good. Many cardholders note the lack of an introductory APR and some complain that the rewards are focused on travel rather than more flexible cash back rewards. However, most customers report a positive experience with the card. If you’re not ready for one of the best small business credit cards for Amazon — perhaps because your company isn’t yet up and running — the Citi Double Cash card is a good choice. It offers 2% cash back on all spending, which ties the American Express Blue Business℠ Plus card among fixed-rate cards and 18 months no-interest on balance transfers, the highest on our list. Ongoing APR is as low as 15.74%. The introductory APR on balance transfers is six months longer than what Blue Business Plus offers, but there is no similar no-interest break on purchases. The balance transfer fee is lower than the 5% charged by the Chase Ink Business UnlimitedSM card. 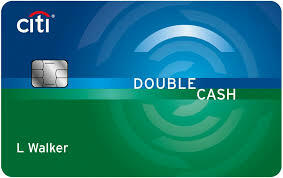 Citi Double Cash is one of two credit cards for Amazon purchases that offers no introductory rewards. That means you’ll miss out on up to $500 cash back offered by cards on our list like the Chase Ink Business UnlimitedSM. You might be better off in the long-run, however, because the Citi Double Cash pays 2% all spending vs. the 1.5% offered by Ink Business Unlimited. Citi Double Cash does not offer introductory rewards. It’s one of two cards on our list that has no introductory rewards., with the other being the American Express Blue Business℠ Plus card. Earn 1% cash back on all purchases and an additional 1% as you pay for those purchases. This card isn’t a straight 2% card. You’ll receive credit for the second 1% of your rewards only after you pay your bill. Pay your bill in full and on time to receive the full 2% without paying any interest charges. Other cards that earn 2% on all spending include American Express Blue Business℠ Plus and the Capital One® Spark® Cash for Business card. Citi Double Cash offers a number of common benefits, like extended warranty protection, as well as some benefits not available from other cards on our list. The extended warranty protection is even slightly better than the excellent coverage the American Express Blue for Business℠ Plus offers. That card will match the length of the original manufacturer’s warranty if it’s less than two years and provide an additional two years only if the original manufacturer’s warranty is between two and five years. No other card on our list offers a price protection benefit. Since Citi Double Cash is a consumer credit card, Citi will report your payment behavior only to the consumer credit bureaus. This means you cannot establish or build your business credit by using this card. Citi Double Cash earns mostly positive online reviews from cardholders who appreciate the 2% cash back on all spending — a high rate for a card that charges no annual fee — and that the first late fee is forgiven. Negative reviews tend to focus on card users have trouble with customer service. 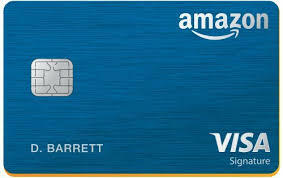 The Amazon Rewards Visa Signature Card is a consumer credit card designed to give top rewards on Amazon purchases for owners who aren’t Prime members. It may be a good option if you can’t qualify for a business card. It’s also cheaper to own than the Amazon Prime Rewards Visa Signature Card, which is available only with a $119 Prime membership but offers slightly reduced rewards — 3% vs. 5% — on Amazon purchases. Ongoing APR is as low as 16.24%. 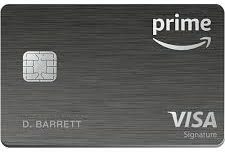 Costs and fees on the Amazon Rewards Visa Signature are identical to the costs and fees on the Amazon Prime Visa Signature Card, although the Amazon Rewards card is less expensive to own because you don’t have to have a Prime membership to get it. You’ll earn 3% cash back on spending at Amazon and at Whole Foods, less than the 5% cash back the Amazon Prime Rewards Visa Signature Card pays. Earn a gift card upon credit card approval. You’ll receive $50 Amazon gift card instantly upon credit card approval. That’s the lowest introductory reward among the cards that offer bonuses on our list. The introductory offer is slightly lower than the $70 Amazon gift card offered with the Amazon Prime Rewards Visa Signature Card. This is the lowest offer among cards on our list that offer introductory bonuses. But there’s also no spending requirement to receive the bonus. These are common protections offered by Amazon credit cards. The purchase protection coverage here covers slightly less than on the Amazon Business American Express, which limits coverage to $1,000 per occurrence. Among the types of Amazon credit cards, the rewards for Amazon purchases on the Amazon Rewards Visa Signature Card are the worst. If you an Amazon Prime member, you’re better off opening the Amazon Prime Rewards Visa Signature Card, which pays 5% cash back. Online reviews are mainly positive. Users say the card offers solid returns on Amazon spending and decent rewards on restaurants, gas stations, and drugstores. Some users complain about the ongoing APR, which may be higher than the 17% average APR credit cards offer. Apply for the Amazon Rewards Visa Signature Card on Amazon where you could receive an instant answer regarding your application. If approved, cards arrive within seven to 10 business days. The best credit cards for Amazon purchases offer top rewards of up to 5% for spending on Amazon and other Amazon-owned companies like Whole Foods. They charge no annual fees and may offer 0% financing on purchases, including those made at Amazon properties. If you’re an Amazon seller, you may also take advantage of Amazon Lending to fund inventory purchases, but that won’t let you maximize rewards when purchasing on Amazon. We rank the Amazon Business American Express Card as the best Amazon credit card. Earn 5% cash back or 90 days of free financing on purchases at Amazon, Whole Foods Market, Amazon Business, and Amazon Web Services.